Home Health Goji Berry Eye Cream has an amazing blend of natural ingredients such as Goji Berry which is used to improve the skin health and retinol with hyaluronic acid is used to prevent the skin from premature aging. 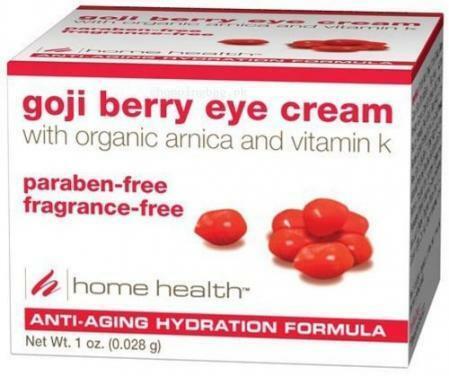 Home Health Goji Berry Eye Cream is used to reduce the signs of aging such as fine lines; dark spots etc. and make the skin soft and younger looking. Home Health Goji Berry Eye Cream is available online in Pakistan in reasonable price from the collection of Amazon imported products in Pakistan. Get light and grease free formulated Home Health Goji Berry Eye Cream from online shopping in Pakistan and gets younger looking smooth and clear skin while enjoying Amazon online shopping in Pakistan.